Is the Syrian President, Bashar Al Assad, going to be the winner of the Syrian civil war? No matter how harsh it might sound to western and Arab ears, it has become evident that thanks to Russian support, Al Assad may continue his rule from Damascus. The dictator was able to avoid a total collapse of his regime due to a combination of Russian President Vladimir Putin’s help, the Syria’s national army’s role and the Iranian-funded Hezbollah’s backing. In the meantime, Al Assad has been able to recover most of the lost territories that he now keeps under a tight control. Thanks to the western stubbornness, the United States-funded ‘Syrian rebel’ force has eventually been reduced to nothing. It will now be part of the political delegations attending meetings in Astana or Geneva, and progressively rallying individuals — or migrants. Opposition leader Michel Kilo can go on spending good time in his Doha house and Syrian ‘intellectuals’ may resume their endless debates out of regional five-star palaces or Paris’ cafe terraces. The immeasurable muck-up of the war in Syria is startling. It started with an absurd concept according to which, a dictatorial regime would voluntarily give up all the levels of command that it firmly held, simply because it was required to so by ‘democratic’ nations. Then, a concentration of ill-inspired decisions transformed the country into a regional battlefield, where every actor was sponsoring some group. The results are there for all to see: Nearly 500,000 casualties, millions of displaced people and migrants, a ruined economy, a sacrificed generation — while Al Assad continues to rule! Let’s hope some of the world leaders will feel uncomfortable in their conscience regarding what they did — or let others do — in Syria. There was a scramble to get rid of a dictatorship, but what should have been the approach is a genuine revolution, which implies a huge majority of the population hitting the streets and taking up arms — which did not apparently happen in Syria. One ought to understand the similarities as well as the differences between a foreign war that overthrows the existing legal authority — no need to remind ourselves that the Iraq war didn’t achieve anything significant; a ‘palace revolution’ — which fundamentally doesn’t change anything; or the so-called ‘belly-dancing’ strategy, whereby there is an open policy towards the external world, until the ‘beast’ realises it is no more in command — that is what took place in some former Soviet republics during the ‘orange’ revolutions, and what was actually unfolding in Syria until 2011. Unfortunately, everything will now have to start from a scratch. Seven years have been lost and a whole population deeply wounded. On the European side, French diplomacy proved devastating. 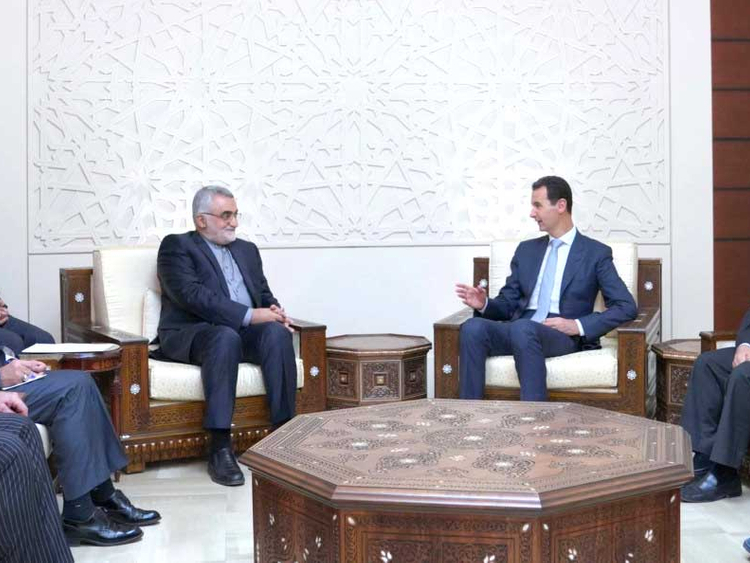 To start with, both the assertions were wrong: That the “Muslim Brotherhood are nice guys to work with because they are the representatives of a moderate Islam”, and that “There is no chance to begin discussions with the Syrian regime until Al Assad is gone”. Seven years later, Al Assad is still there and it is amply clear that the Muslim Brotherhood are not “nice guys”. How will the regional balance of power be affected by this emerging situation? Assuming that most of the rebel forces are on the verge of disappearance — “The Syrian Opposition should now look for a logical attitude”, one of their regional financial sponsors recently declared as a confirmation. Yet, a residual resistance pocket remains in Idlib, with Al Nusrah leading the show. Actually, both US and Russia can use that as an excellent pretext to stay on-site — and on top. It is another hurdle towards the creation of an independent Kurdish territory, Turkey’s permanent nightmare. Elsewhere in Syria, the ‘non-fighting’ war zones promoted by Russia and accepted by Turkey and the US will develop, while talks in Astana or Geneva will go on — until there is nobody to attend them! As for the Al Assad regime, it will intensify its all-round opening campaign, as already confirmed by Syrian opponents who are being increasingly courted these days. The launch of reconstruction work will be another consolidating element, despite attempts to correlate the matter with the sought-after ‘political transition’. The presence of former Syrian planning minister Abdullah Al Dardari as the head of the United Nations Reconstruction Programme for Syria will surely help. As for foreign actors, Turkey will remain concentrated on Kurdistan; the US and Russia, on sharing their influence, fighting terrorism and doing business; Europe — and especially France — will be trying to be back into the peace process. This move has finally been initiated by French President Emmanuel Macron, while the other neighbouring countries will probably be concentrating on more vital domestic issues. Al Assad will then be in a position to reinstate a favourite Syrian game — making Russia and Iran oppose each other, so that he gets more breathing space. Luc Debieuvre is a French essayist and a lecturer at Iris (Institut de Relations Internationales et Strategiques) and the ‘Faco’ Law University of Paris.